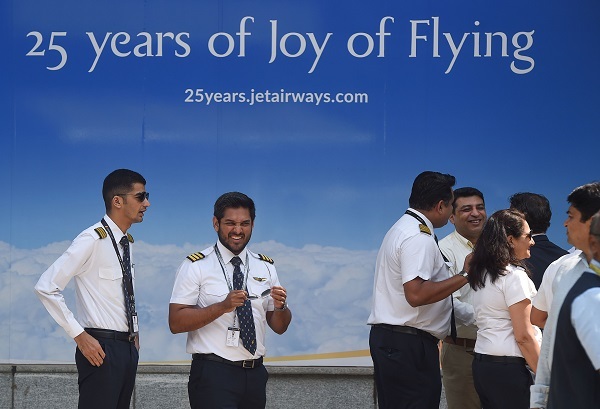 India's Jet Airways pilots gather at its head office in Mumbai on April 15, 2019 (Photo: PUNIT PARANJPE/AFP/Getty Images). INDIA’S stricken Jet Airways appeared to be edging closer to collapse today (15) after lenders failed to take a decision on whether to release crucial funds to keep the debt-laden carrier flying. Naresh Goyal founded airline has debts of more than £763 million, cancelled all international flights as it cannot pay its bills. Jet CEO Vinay Dube said in an email to staff on Monday (15) that the cancellation of all international flights was being extended to Thursday (18) because an emergency cash injection had not yet been made available. “As you are aware, we have been working with the lenders to secure interim funding for our operations. The interim funding has not been forthcoming thus far…” he wrote. Dube added that the board of Jet would meet on Tuesday (16) to discuss “the next steps forward”. The State Bank of India-led lenders took control of Jet last month, pledging to give £165m of “immediate funding support” as part of a debt resolution plan. 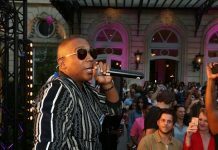 The lenders met for several hours on Monday (15) but failed to agree on how to proceed. SBI said in a statement that “necessary support to facilitate the (debt resolution) process is being extended by the banks in the consortium”. Jet has been in a tailspin for months. All of its international flights have been suspended since late last week, with Europe and North America particularly badly hit.